Abracadabra! 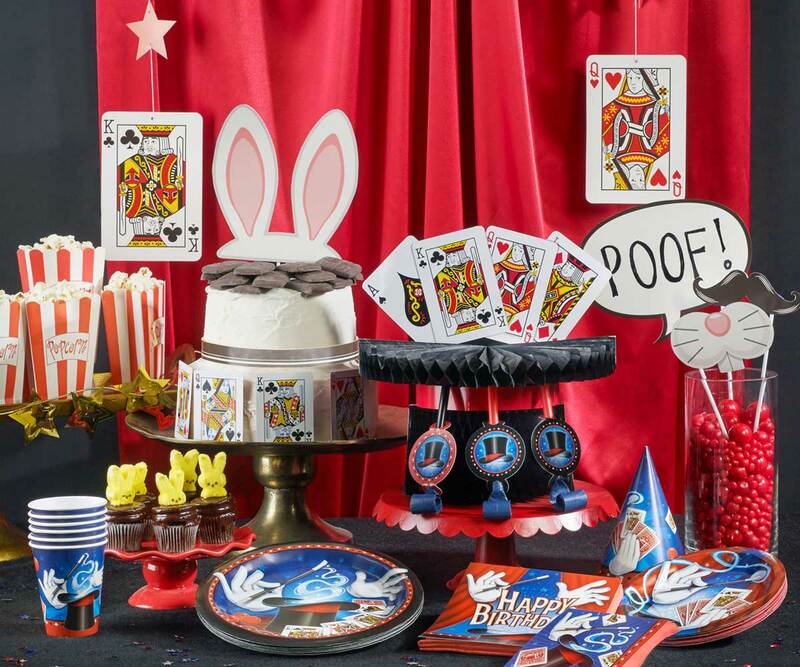 It's so easy to conjure up a magical birthday with our Magic Party theme. It features all the tricks of a magician's trade-a magic wand, top hat, cards and more...in a colorful design that will astound and amaze guests with its clever theme. And...hocus pocus! They will see pops of brilliant color appear before their very eyes with the addition of Red and Navy Blue from our solid color tableware line-up. Magic Party Plastic Tablecover 54"x 102"